A cute little towel with singles animations for both male and females. 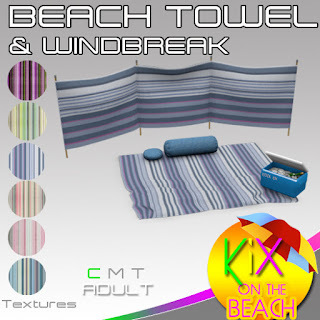 Hop on over and grab one today and see the new release KiX on the Beach Towel and Windbreak. We are offering the adult version for half price to group members until Sunday 8th May when it will return to full price. Packed with exclusive KiX animations and props with a great texture change range, the adult version also gets you a free PG version. Grab it soon before this exclusive group offer ends. Sometimes for reasons out of your control you have to pack up and move. Impressively we managed to pack up, find land and set up again in less than 4 hours. 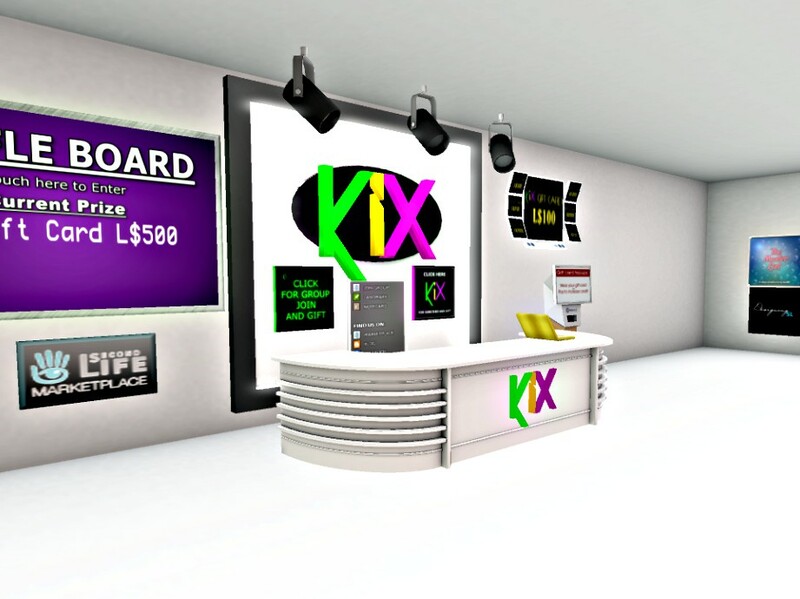 ★★ ADJUSTABLE POSITIONS: Easily adjustable to fit most avatar sizes and shapes! ★★ Enable experiences in your land settings means no more notifications to attach a prop. 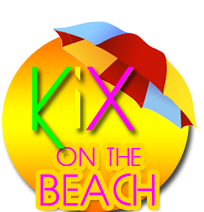 KiX on the Beach is a new range of coordinated furniture to bring style and fun to any beach, patio, deck or pool.